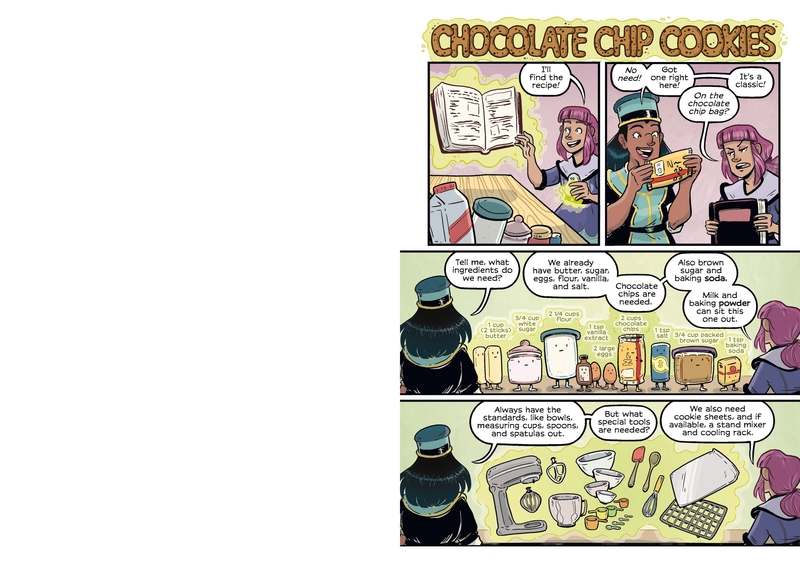 Maker Comics is the ultimate DIY guide. 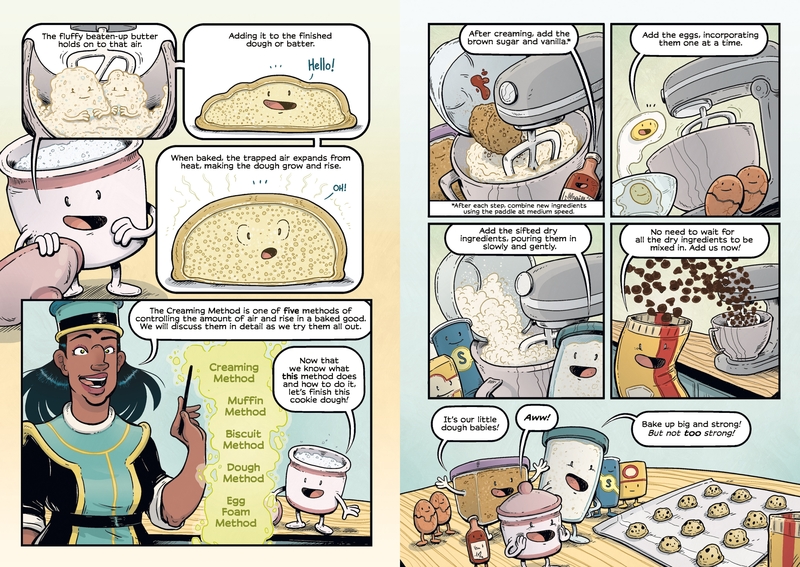 Inside this graphic novel you will find illustrated instructions for eight tasty treats! Today is the first day of Sage’s magical internship! Her fellow wizards-in-training get to study pyromancy and transfiguration, but Sage has been assigned an internship in...baking? She doesn’t think that sounds fun, or particularly magical! But her instructor, Korian, insists that baking is a tasty form of alchemy. 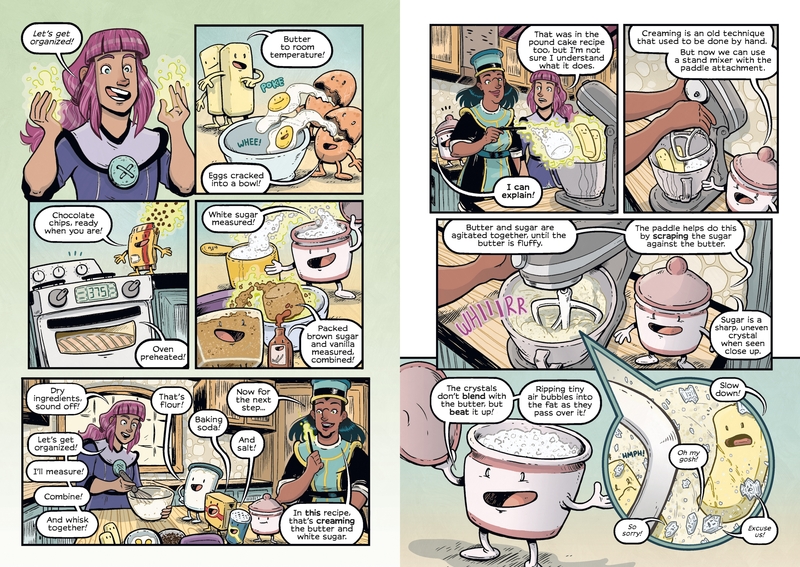 In an enchanted kitchen where the ingredients insist that you eat them, Sage learns the simple science behind baking—and that’s the best kind of magic trick! 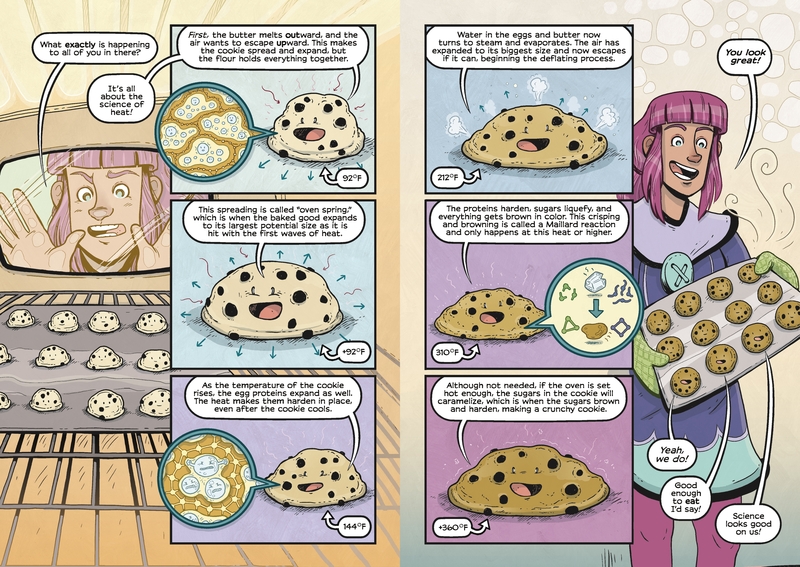 Praise for Maker Comics: Bake Like a Pro! Falynn Koch is a writer and illustrator from Buffalo, New York, who loves traveling with her husband, Tucker, and her dog, Ghost. She has a master’s degree from the Savannah College of Art and Design in Atlanta, Georgia, is a graduate from the International Culinary Center in New York, New York, and is the former owner of a mac ‘n’ cheese food truck. 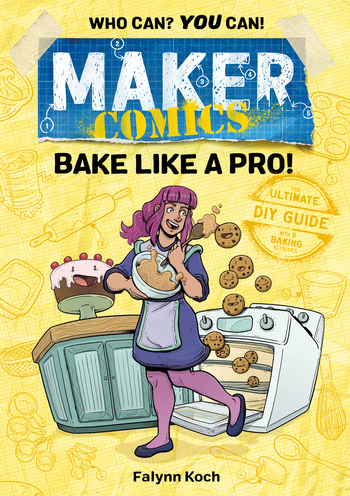 Maker Comics: Bake Like a Pro! is her third book with First Second; the first two are Science Comics: Bats and Science Comics: Plagues. She’s a lover of animals (real and mythological), germs, and food history. Her favorite baked good is doughnuts.